Clinic Synopsis: A quality recording of your ensemble can be a great learning experience. By focusing on the process and not just the end product, your students will open their ears and minds, and make valuable progress as musicians and as an ensemble. Join producer Sam Pilafian, engineer Scott Burgess, and conductor Eric Rombach-Kendall to see what it takes to make the most of the recording experience. 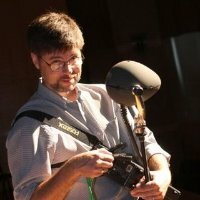 Clinician Biographical Information Recording engineer Scott Burgess joined the Recording Arts program at the University of Colorado Denver in 2013. The following year, he was also appointed Head Audio Engineer at the Aspen Music Festival and School. He came to Colorado from Central Michigan University. Scott graduated from the Cleveland Institute of Music with a degree in bassoon performance and audio recording. His engineering career began at Commercial Recording Studios of Cleveland, where he worked with clients such as Sherwin-Williams, Cedar Point, and BP. He then became Technical Assistant for Telarc International, working with their production staff on over 80 recordings. As a producer, engineer, editor, bassoonist, and singer, Scott has collaborated with artists such as Andre Watts, Robert Shaw, Gunther Schuller, Danny Elfman, Dave Brubeck, and Stephane Grappelli. He has performed with or recorded the orchestras of Atlanta, Cincinnati, Cleveland, Evansville, Louisville, Memphis, and the Sphinx Virtuosi. 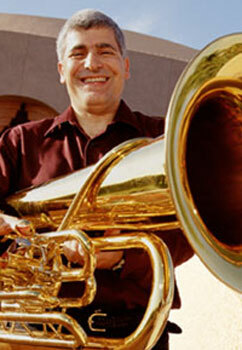 Second Clinician Biographical Information Sam Pilafian, tuba player, arranger and producer of the Boston Brass, is perhaps best known as a founding member of the Empire Brass Quintet. He has also recorded and performed with the Boston Symphony, the New York Philharmonic, the Orchestra of St. Luke's, the Metropolitan Opera Orchestra, the Duke Ellington Orchestra, Lionel Hampton, and Pink Floyd. As a solo jazz artist, Sam has recorded fifteen CDs. His long career has earned him an Emmy for Excellence in Instructional Video Production, the Walter Naumberg Chamber Music Award, and the Harvard Music Association Prize, among others. Sam has recently produced and written for Joseph Alessi and Philip Smith, the Boston Brass, the Brass Band of Battle Creek, and the United States Air Force Band. Professor Pilafian previously served for over forty years on the faculties of Boston University, the Tanglewood Institute, Berklee College of Music, Arizona State University, and the University of Miami. He is a Past President of the ITEA. 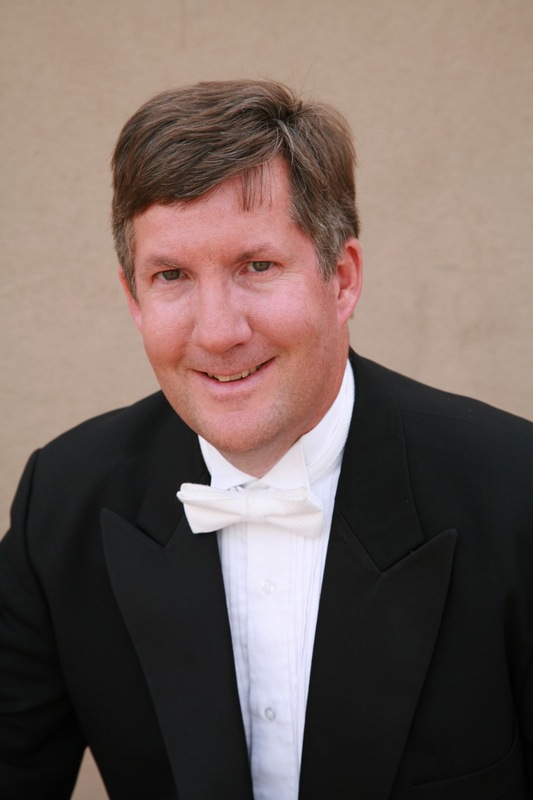 Third Clinician Biographical Information Eric Rombach-Kendall is Professor of Music at the University of New Mexico, where he has served as Director of Bands since 1993. Prior to his appointment at UNM, Mr. Rombach-Kendall held conducting positions at Boston University and Carleton College and taught in the Washington State Public Schools for six years. Mr. Rombach-Kendall served as President of the College Band Directors National Association from 2011-2013. He has been a guest conductor and clinician throughout the United States, Canada, China, and Sweden. Mr. Rombach-Kendall’s bands have received national acclaim through their performances at the CBDNA National and Southwest Division Conferences, the MENC National Conference, North American Saxophone Alliance, Society of Composers, Inc., and the New Mexico Music Educators Conference. He is the conductor of five recordings with the University of New Mexico Wind Symphony on Summit Records featuring soloists Joseph Alessi, Phil Smith, JD Shaw, and Sam Pilafian.